REGINA - Running back Kienan LaFrance, who helped the Ottawa Redblacks win the 2016 Grey Cup, was released by the Saskatchewan Riders on Thursday. The five-foot-nine, 205-pound LaFrance, a Winnipeg native, ran for 273 yards and two TDs on 68 carries (4.01-yard average) in 13 games last year, his first with Saskatchewan. The former Manitoba star joined the Riders as a free agent. LaFrance spent his first two CFL seasons with Ottawa, rushing for 180 yards on 43 carries combined (4.2 yards per carry). But in snowy conditions he ran for 157 yards and a TD on 25 carries in leading the Redblacks past Edmonton 35-23 in the 2016 East Division final. Ottawa went on to beat the Calgary Stampeders in the Grey Cup. The five-foot-six, 187-pound Bell signed with Saskatchewan prior to last year's playoffs but didn't see action. He spent the previous two years with Edmonton, rushing for a combined 1,058 yards (5.8-yard average) and two TDs while adding 34 catches for 312 yards and two touchdowns. HAMILTON - The Hamilton Tiger-Cats signed Canadian defensive lineman Justin Capicciotti to a two-year contract extension and released American defensive back Emanuel Davis on Thursday. The six-foot-three, 235-pound Capicciotti had 40 tackles and seven sacks in 16 games last season. 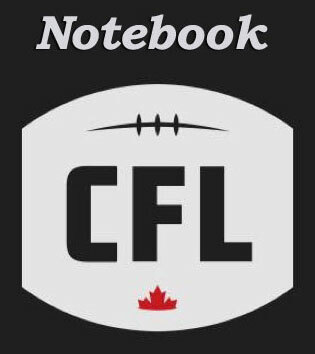 The 28-year-old Toronto native has appeared in 93 career CFL games, registering 178 tackles, 34 sacks, three forced fumbles and two fumble recoveries. Davis spent five seasons with Hamilton and was a CFL all-star in 2015. The 28-year-old had 10 interceptions, scored four TDs and recorded six forced fumbles as a Ticat but appeared in just six games last year, registering 18 tackles and a forced fumble. CALGARY - Defensive back Joshua Bell retired Thursday and joined the Calgary Stampeders coaching staff. Bell spent four seasons as a player with Calgary. He's now the Stampeders defensive backs coach. "Josh was an intelligent player, a natural leader and a person who was very respected by the guys in the locker room, as proven by the fact he was voted a team captain and received the 2017 Presidents' Ring award,'' said Calgary head coach Dave Dickenson. "I'm confident he'll be an excellent coach and I'm happy that he's staying in the organization and taken on this new role. Bell began his CFL career by spending two seasons with the B.C. Lions. He started 76 games (regular season and playoffs) with Calgary and helped the club win the 2014 Grey Cup. Overall, Bell played in 86 career CFL games, registering 206 tackles, one sack, five interceptions, two forced fumbles and two fumble recoveries. Prior to playing in the CFL, Bell appeared in 13 games over two NFL seasons with the Denver Broncos and Green Bay Packers. Bell joins Dickenson, defensive co-ordinator DeVone Claybrooks and defensive line coach Corey Mace as former Stampeders now on the club's coaching staff. The five-foot-10, 185-pound Gaitor spent two seasons with the B.C. Lions. He appeared in 23 games, registering 73 tackles, three interceptions, two defensive touchdowns and two forced fumbles. Gaitor was a seventh-round draft pick of the Tampa Bay Buccaneers in 2011 and also spent time in the NFL with Miami, Arizona and New Orleans in the NFL. EDMONTON - The Edmonton Eskimos re-signed receiver Kenny Stafford and defensive back Ahmad Dixon on Thursday. Stafford appeared in five games last season with Edmonton, registering 20 catches for 265 yards and two TDs. Over five CFL seasons, Stafford has appeared in 46 games with 109 receptions for 1,479 yards and, 14 touchdowns. Stafford was also a member of Edmonton's Grey Cup-winning team in 2015. Dixon appeared in one game last year with Edmonton. Salary cap move by Riders. Riders to go American at running back: Richardson, Thigpen, Marshall - take yer pick. Good move to release LaFrance. Other than the 2016 east final, he has done nothing.